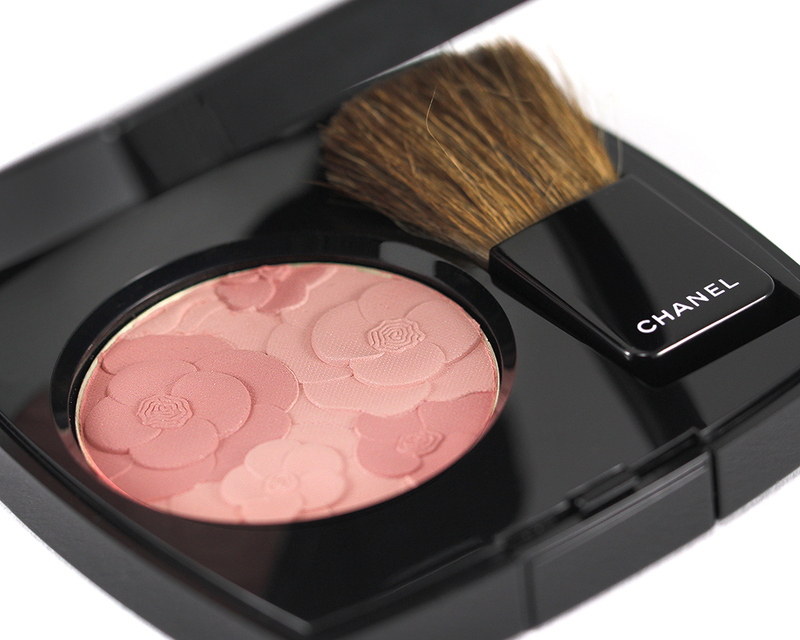 Jardin de Chanel Blush Camélia Rosé is one of the two cheek blushes released for Chanel's Spring 2015 Rêverie Parisienne Collection. It features an intricately raised camellia motif on the surface that seems to stay intact even after multiple uses. 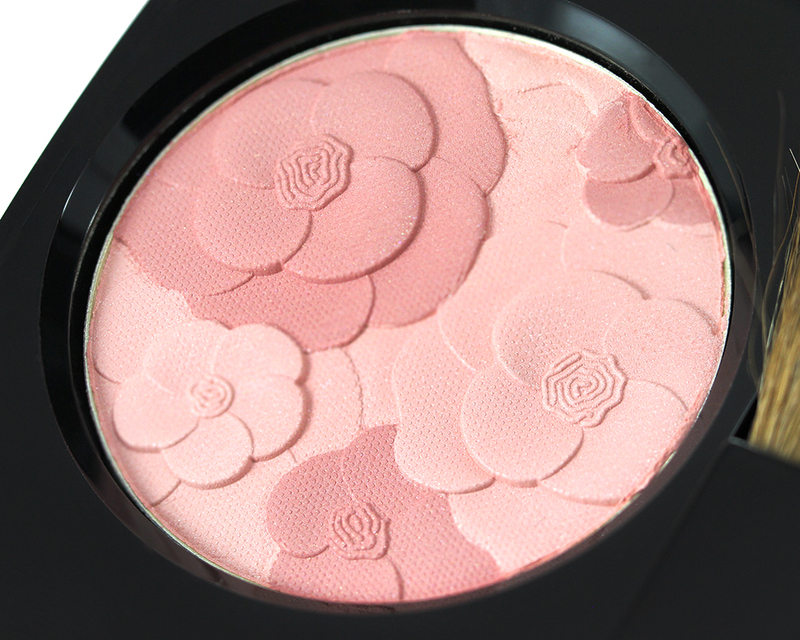 The first thing you'll notice upon opening the compact is the super tiny size of the blush which contains only 3 g (0.1 oz) of product. The exterior packaging is the same size as regular Joues Contraste blushes but contains half the product and costs $10 more. The second thing I noticed was the strong, powdery rose scent! It's not overpowering by any means but it's much stronger than most perfumed blushes I have smelled. 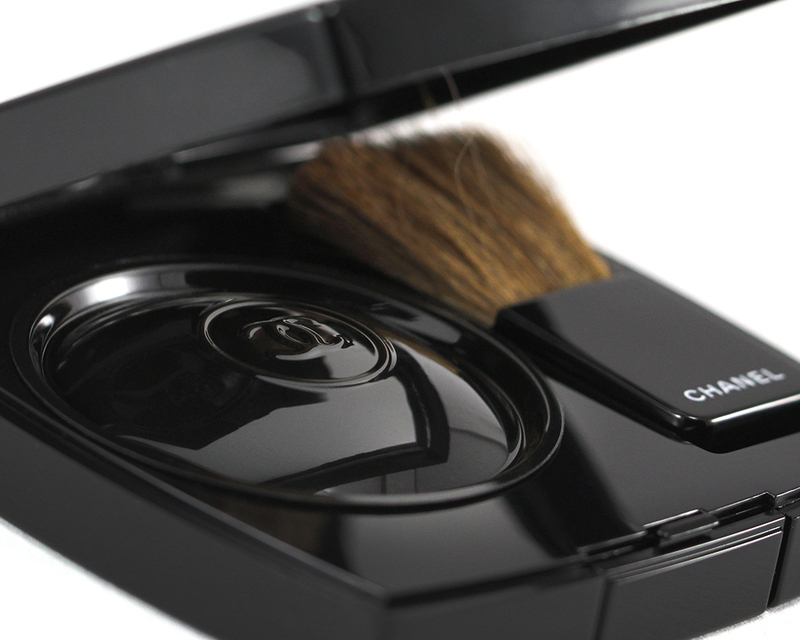 The mirrored compact comes protected in a black velvet pouch (not pictured) and includes a Chanel-stamped, black plastic cover and a small applicator that is usable and functional. To my surprise, the brush actually works really well for picking up the color (by using swiping motions across the surface of the blush) and depositing it on the cheeks as you will see in my portrait photo below where I didn't use any additional brush to apply. It may take a little longer than a typical blush brush to cover the large area of the cheeks but at least the soft bristles fan out nicely to diffuse the hard edges as you apply. Besides the included applicator, I find smaller blush brushes such as MAC 168 and Shu Uemura 20 to work really well since they fit in the pan and are firm enough to pick up the right amount of pigment for a soft and even application on the cheeks. The two-toned Camélia Rosé comprises of 2 distinct shades of pink: a darker, warmer mauve rose and a lighter, cooler muted pale pink. 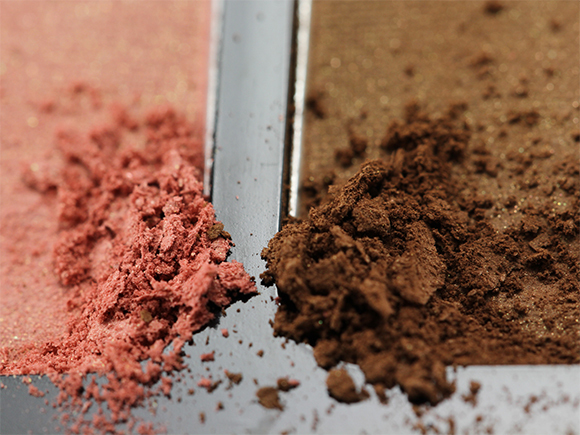 Both contain sparse but sparkly shimmer in the formula that translates to a soft satiny glow on the cheeks. With small effort, you can angle the tip of the included brush perpendicularly to the surface of the blush to pick up each color and apply them separately as a highlighter and a blush. A more practical way would be to swirl them together and apply for a soft and delicate flush of warm rose with a satin-matte finish. 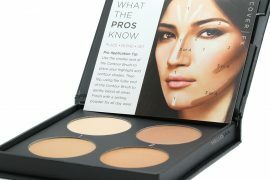 Pigmentation-wise, let's say if you have medium skin tone, you will need some layering for the color to appear on your cheeks. 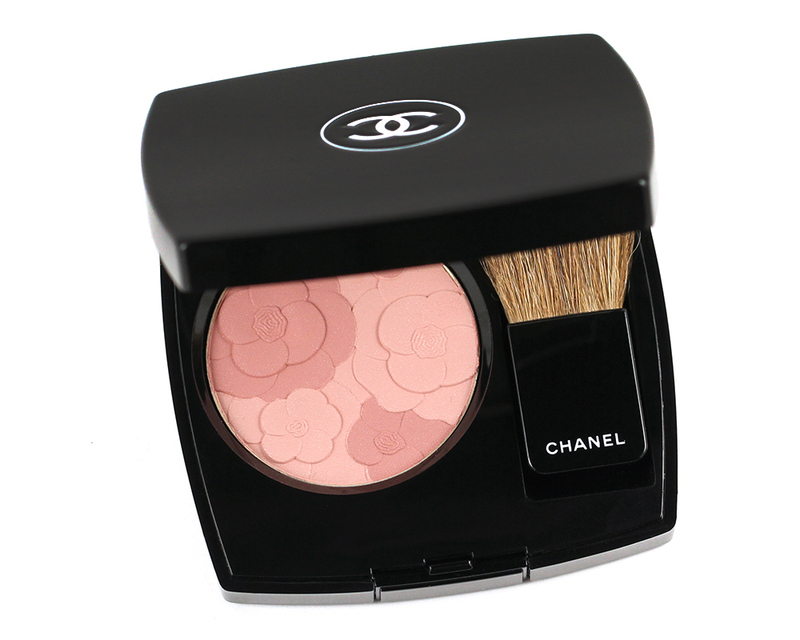 It is on the lighter side of the blush scale but at least the color is buildable. Although the more you build, the more powdery it will become. 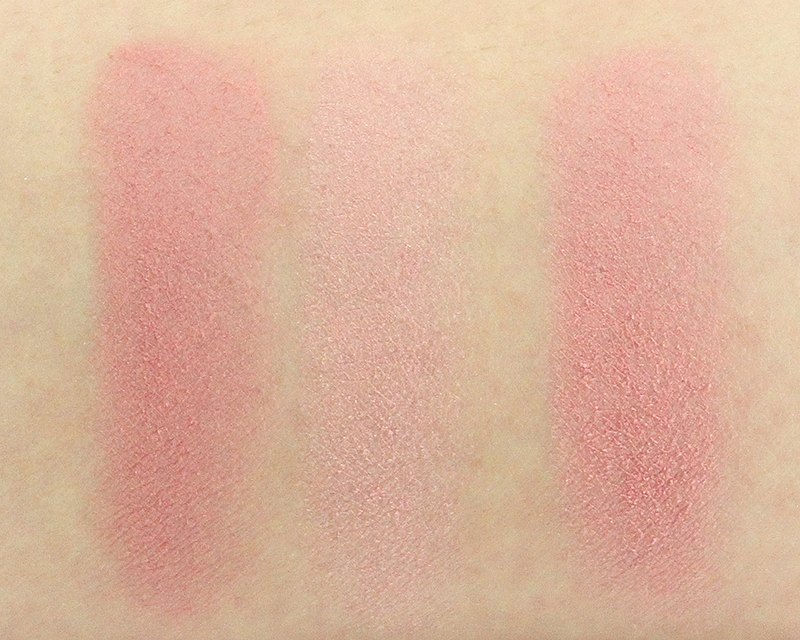 I really don't mind subtle blushes at all since they are more comfortable to apply and are less likely to over do. 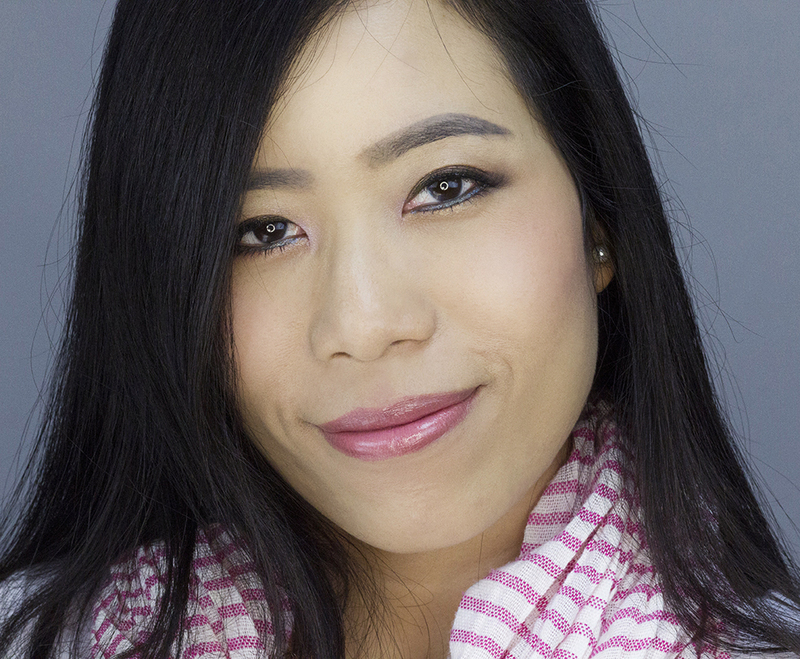 Hey Jaa, thanks for the gorgeous photos and thorough review! I was ready to give up on this, but if you say once you get past the service things look rosier, I BELIEVE YOU! Definitely can’t wait to see the spring collections here. I’m hoping I’ll at least hear about them next week. The Europeans REALLY need their holidays. Before this Christmas/New Year’s thing is completely over. things are so dead quiet! I’m confused now totally !! Let’s see what to do !!! Oh dear! I need this in my life! This is so beautiful, truly a gorgeous feather in one’s makeup collection cap! I love the color on you, especially. You look so soft and pretty! Thanks so much, Kristen! Kisses! I am not sure it would show up so well on me but its gorgeous on you! Love the design on it so much! 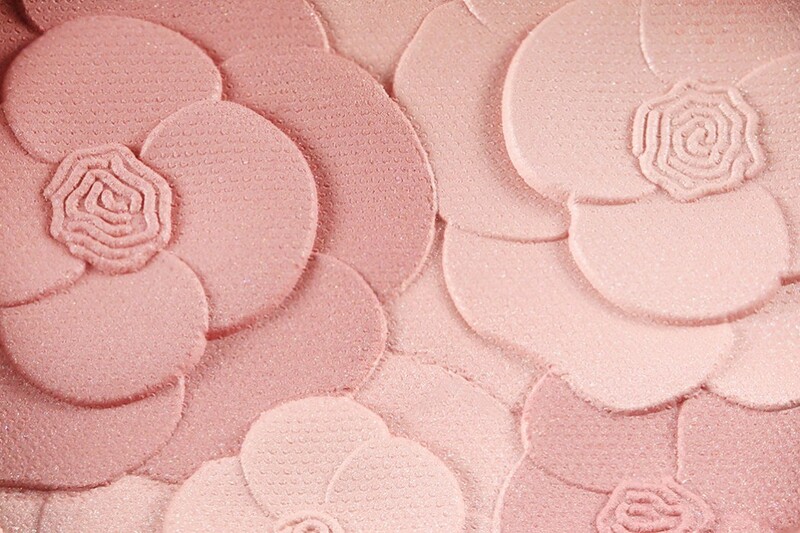 The design on the blush is absolutely beautiful and the shades are super pretty too. I am still on the fence whether to get it or not. I think I would be too scared to use it since it’s so pretty. It looks great on you though! The rose motif is beautiful! 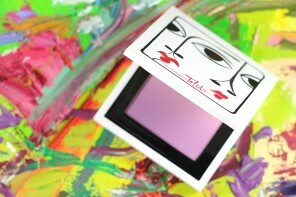 I actually prefer more subtle blushes, since highly pigmented ones can give me those lovely clown cheeks hehe. LOL kudos to your willpower! ;D The colors are definitely dupe-able but yeah, the selling point here is the design! I have hit pan on blush! 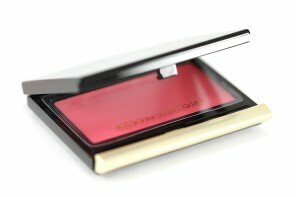 I love my Armani blush and will use every last particle in the container. It’s actually very similar to this overall color. The texture is a bit finer though! I think for me the cost is too much for the amount. Wow! It must feel exhilarating to see a glimpse of the silver pan! Which Armani blush is it? 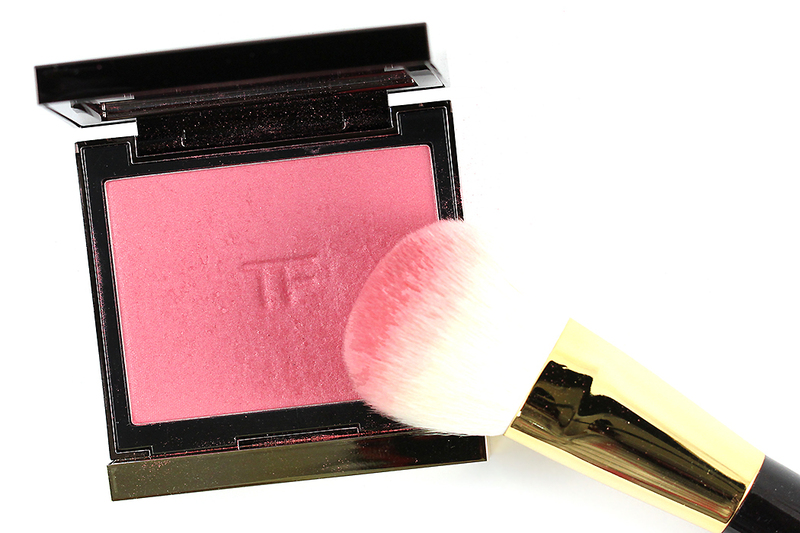 On you this blush is fantastic! 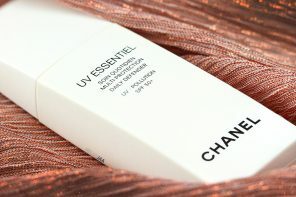 The packaging and design everything has my eyes glued to it but I doubt it will look good on my medium skin. But will surely try it in person. Seee…..last year I would have probably gone out and ordered this just because it looked so cute..what with your wondeful macro photography amd all Jaa. 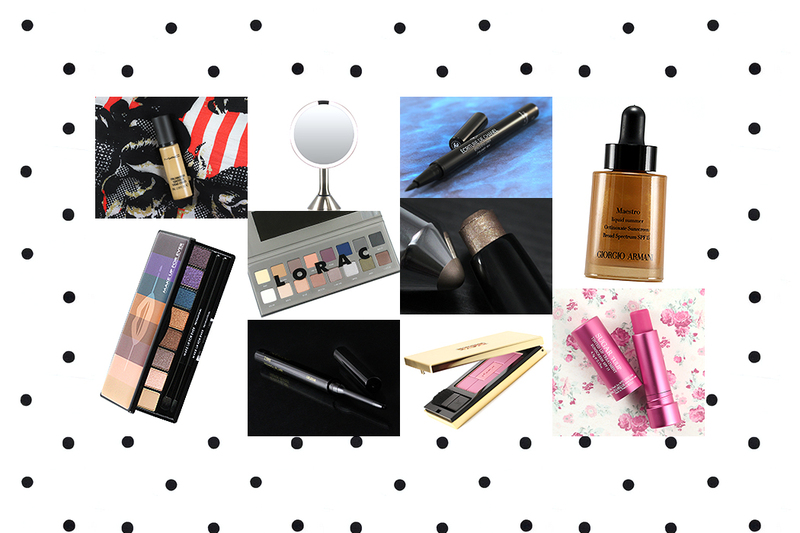 BUT…with my steely resolve thisy ear to not buy any more makeup until I use what I have lol…im able to say NO THANK YOU :)) hehe having said that though I think it looks SO pretty on you!! Oh Dee! I’m trying my hardest to use what I have, too! Let’s see how far I’ll go. Haha. Thanks! Those Macros. I’m dying. Dying. And I thought I didn’t get close enough. Haha. Hi Jaa! Happy New Year! 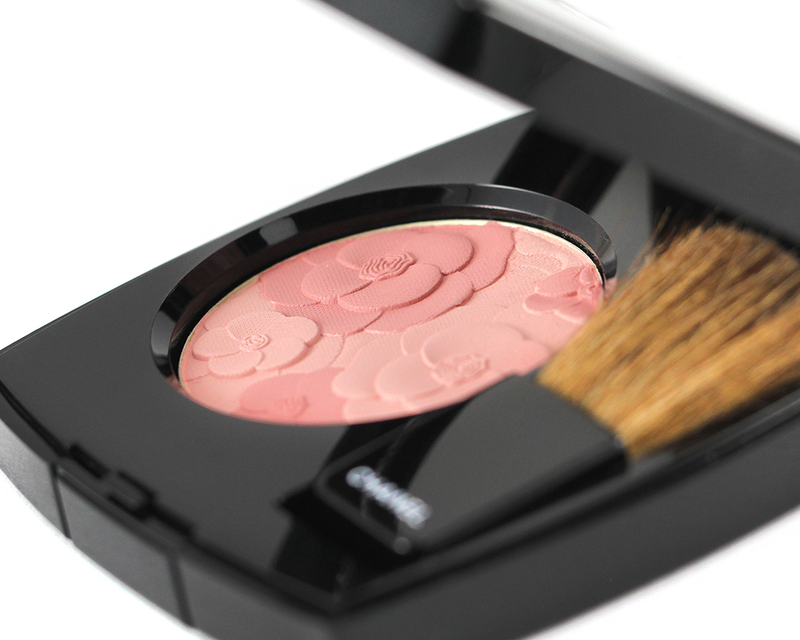 This is a great review and the blush looks amazing. It does look subtle indeed..just a natural rosy touch to those gorgeous cheeks of yours. It would probably be too light for me.. hm, I wonder, though! Thanks, Natasja! Happy New Year to you as well!! :D I have a feeling this might be too pale for you! Thanks, Gyudy! 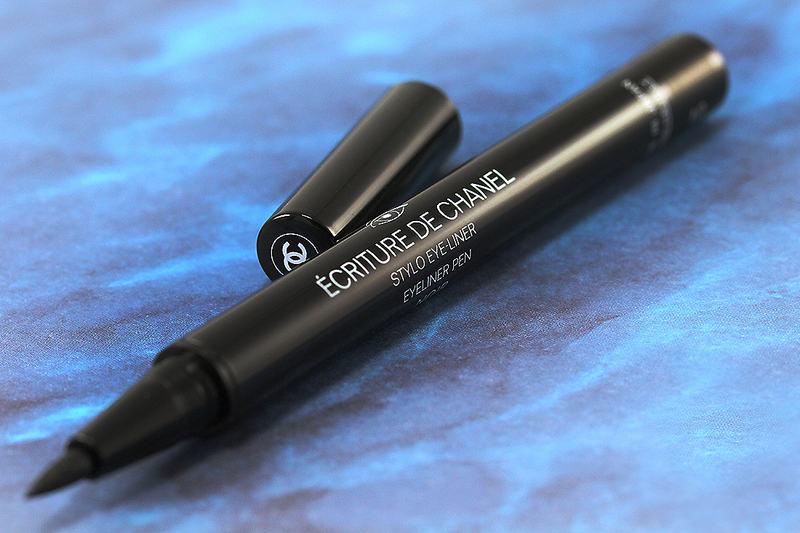 Did you find the pigmentation better as you get past the top layers?